Jeffrey Smart is one of Australia’s best known painters with his stark portrayals of the contemporary world. His paintings feature recurring motifs of highways, construction sites and apartment blocks. “Jeffrey Smart: Master of Stillness” sheds light on his formative years as an artist in Adelaide, revealing the influences that have formed and driven his work for more than seventy years. 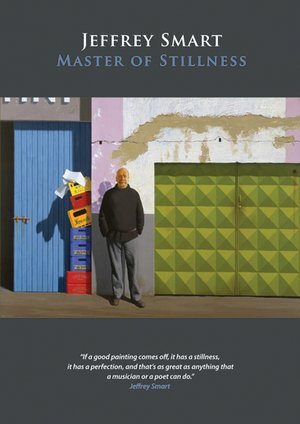 Filmed partly on location in Smart’s home in Tuscany, with observations from curator Barry Pearce and friends Clive James and David Malouf, this documentary begins with the 2012 Adelaide retrospective of the artist’s work.